It is important to understand the difference between non-native plants and invasive plants. The term “non-native” is relative- it refers to any living organism that did not naturally originate from an area in which it is currently found. So what is non-native in Barry County is not necessarily non-native in all of Michigan, let alone the rest of the United States or other countries. Non-native species are not always harmful and many are beneficial, for example, the beloved ring-necked pheasant, apple trees, and dandelions. 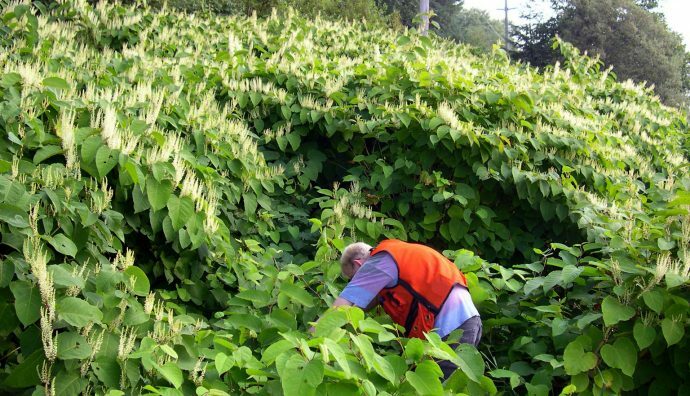 The term “invasive species” refers specifically to non-native species that have harmful impacts, be it to the economy, the environment, or human health. Once an invasive species is already introduced to an area, the best way to deal with it is early detection of the species and rapid response (treatment). A great way to coordinate these efforts is through a Cooperative Invasive Species Management Area (CISMA), which is a community-based group made up of private landowners, non-governmental organizations, natural resource management groups, governmental agencies, and others who agree to work to collectively combat invasive species on a large scale. If you would like to join the BCK CISMA, have an educator give a workshop to your group, or learn more, please visit our webpage and contact BCK CISMA Coordinator Fallon Januska at 269.908.4136.